May the God who gives - Our God is a generous God. He loves to give. God does not hold back from His people. Yes, there are times when for our own benefit we have struggles, but God's heart is blessing. He will even take those troubled times and make them work for good. Nothing is ever wasted when it is given to God! And God's people are a generous people reflecting the nature of their God. A recent survey found that 7 of the 9 most generous States in the US were in the "Bible Belt." endurance and encouragement - God gives endurance. As I mention in Moments In Revelation #13, endurance is a necessary virtue of the Christian life. We need to be able to outlast the enemy. We need to be able to go through tough things and not give up. Too many Christians stop before they get to the finish line. We need patient endurance to see us to the end. And that endurance is a gift from God that we can ask Him for and in faith receive. Also, God give encouragement. We all need encouragement at times. We need that smile, that friendly word, that Scripture verse that fits so well with what we are going through. God may give us encouragement through His Word, through the compassion of a friend, or even through a non-Christian or strangers. God's methods are His own, but He does not leave us alone. give you a spirit of unity among yourselves - God wants us to be in unity. He is the Father of a large family and nobody likes family fights. It is sad when Christians fight among themselves because of different denominations, different views on end times or technical details. That is not to say these things are not important, but they are not a reason for division and argument. In persecuted countries denominational barriers come down because their survival depends on mutual trust and working together. May God grant us a spirit of unity no matter where we live. We should be able to unite with other Christians around our common love for God, our brothers and sisters and the community. Non-Christians and even bitter opponents should see a united front. Let's grow up and get along! 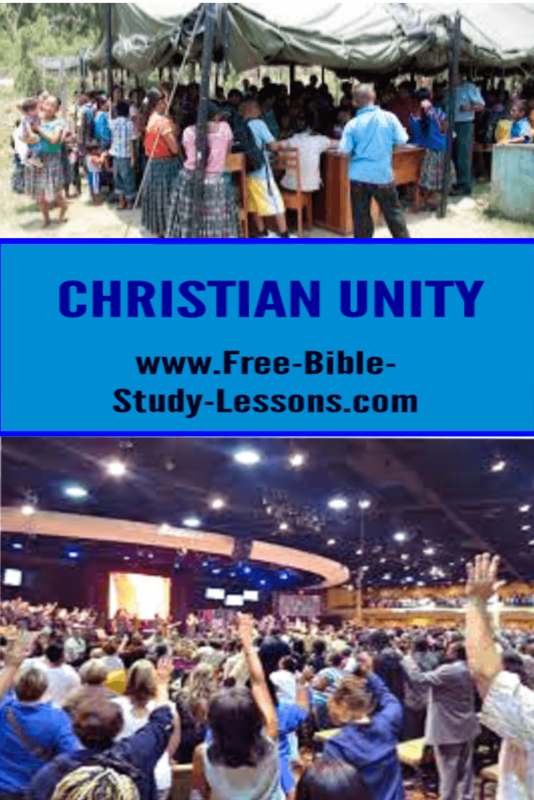 as you follow Christ Jesus - The key to true unity is following Jesus Christ. Too often the church has thought that unity comes through compromise. To "win the world" they compromise with evolution, with immorality, with all sorts of unGodliness. The Truth is the Truth. It needs to be presented in love, but not compromised. Even within Christianity we can be united with diversity. True, there is a basic statement of faith that every Christian needs to hold to, but after that we can allow for differences of interpretation and belief. Again, that does not mean that differences are unimportant, only that they are not a reason for division. If we follow Jesus truly, we can be in unity in spite of differences. so that with one heart and mouth you may glorify the God and Father of our Lord Jesus Christ. - What is the purpose of all of this? That we can bring united praise to God. He deserves all that we can give Him. He deserves a loving family not a fighting bickering one. He deserves our adoration. We can choose to ignore offences and disagreements with family members as part of our worship of God.